IET re-connects the mind, body and soul in order to restore the natural equilibrium that sustains life, health and happiness. 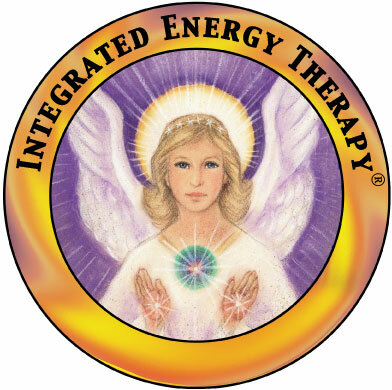 During an IET treatment the therapist connects into, calls upon, and utilizes, that universal divine energy, and channels it with the assistance of the healing angels, through his/her own energy system and into the person being treated. The intention is to release blockages in order to restore and heal the vital internal life force which fuels our bodies, our emotions and our very lives. It provides the environment to allow feelings and emotions to release from the body, from their various points of refuge, so that a deep healing can occur at that site where they are ‘trapped’ – sometimes for years - and so restore the body to a healthy state. Once the body’s energy is unblocked and restored, it can repair and heal itself, bringing about the natural state which the Divine intended for each and every one of us. IET can be a very spiritual experience for some people, who feel the release acutely, whilst others experience ‘healing without feeling’. It really doesn’t matter what your experience. Anyone who seeks healing in this manner from an IET therapist will – without question, receive it. It can bring about a new consciousness for the person being treated, but most importantly it brings about a new understanding of our lives and our very existence, and the chance for change and a new beginning. This modality is extremely helpful for dispelling feelings of overwhelm, fatigue, repressed emotions, anxiety & much more. It is a wonderful support for anyone who is going through a difficult time and needs their "batteries" recharged. For those in the caring profession (teachers, nurses, ect) or those caring for family members, IET is a wonderful boost for your own depleted energy systems. If you have never experienced energy healing before, I highly recommend giving this modality a try. An IET session usually begins with approximately 10 minutes of talking about what is going on in your life and what you hope to receive from the treatment. If you don't know what you hope to receive that is okay. Next, you lie on the massage table with your clothes on, close your eyes and relax as I very gently touch different acupressure points around your head, neck, shoulders and back. A session usually lasts approximately 1- 1.5 hours. Individuals generally experience a deep sense of calm and relaxation and leave feeling as though a burden has been lifted. They report a general lightness of being that lasts for several days afterwards with some permanent positive changes as well.